A modern day spiritual jazz treasure – completely wonderful all the way through, and a set you might well file proudly next to your classics from John Coltrane and Pharoah Sanders! The record's as epic as it promises in the title – a three volume journey in jazz, headed by tenorist Kamai Washington, who emerges here as a tremendous leader, a hell of a writer, and a rich jazz talent in every sense of the word – carefully steering a group of musicians through work that's searing, searching, and driven with a very cosmic vibe! Tunes are often modal, and never step too far outside, but always push the boundaries – and the instrumentation is a shifting mix of keyboards, piano, trombone, trumpet, bass, drums, and percussion – plus some vocal performances from Dwight Trible and Patrice Quinn. 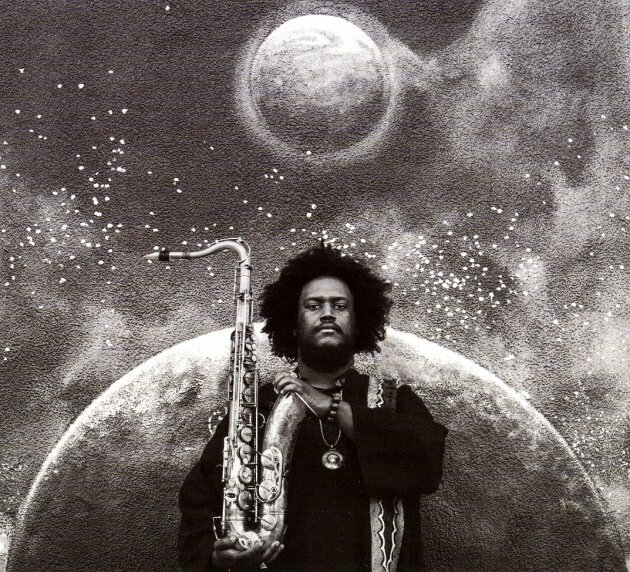 You might know Kamasi from his work with Flying Lotus and Thundercat – the latter of whom plays bass on this set – but the album's very much his own, and very much jazz all the way through. The kind of record we're mighty proud to be offering – with tracks that include "Askim", "The Next Step", "Rhythm Changes", "Miss Understanding", "Leroy & Lanisha", "Re Run", "Seven Prayers", "Malcolm's Theme", and "The Message". © 1996-2019, Dusty Groove, Inc.